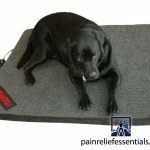 Pain Relief Essentials selected the Thermotex Heating Pad system as part of our premium Far Infrared product line based both research and product testing. 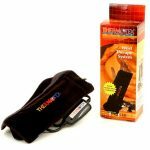 This thermal pad heating system works extremely well in conjunction with the Rhythm Touch electrical muscle stimulation to bring deep down relief to sore muscles and tissues. The TTS Platinum model produces the best results and is the most versatile as it can be used on all areas of the body. 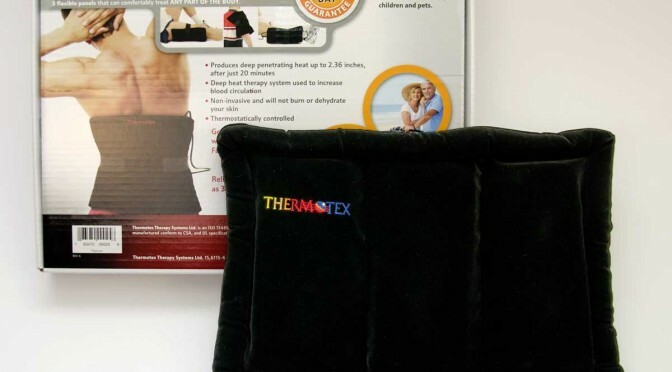 Thermotex™ infrared operates at temperatures of between 40°C – 45°C, versus heating pads that are often in excess of 55°C. This product will not burn or dehydrate the skin. 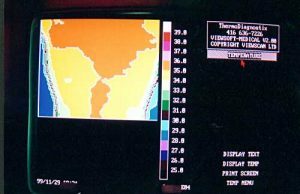 The anatomical and physiological implication of Thermotex™ IR products and the application of IR for relief of pain is founded on the properties and critical functions performed by the body’s blood supply and circulatory system. The principal of Homeostasis refers to the body’s natural reaction to maintain, or attempt to maintain, a stable internal environment through the body’s coordinated responses of the organ systems that automatically compensate for environmental changes. Exposure of the body to IR radiant energy creates an environmental change (absorption of energy and conversion to heat) which accelerates the body’s homeostatic response. These natural responses include, among other things, blood flow stimulation (stimulation of peripheral and central thermoreceptors), circulation enhancement (vasodilation and increased permeability of blood vessels) and oxygenation supply and toxic removal from muscle tissue. The body’s homeostatic response to IR radiation may be in any or all of the following forms of change: in body temperature, blood pressure, chemical compositions (enzymes, blood sugar levels, hormones, etc.) and organ function (e.g. enhanced response by the excretory organs including the kidneys, lungs, and gastrointestinal tract). 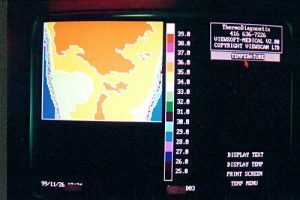 The most direct homeostatic response to Thermotex™ IR radiation is the body’s homeostasis of body temperature regulation (referred to as homeothermic response). The human body, regardless of wide fluctuations in environmental temperature, can maintain a constant core temperature near 37C (98.6F); the desired normal range for internal body temperature. Body temperature is maintained by mechanisms that attempt to keep heat production and heat loss in balance. In response to an increase in blood temperature, the body’s peripheral thermoreceptors located in the skin and mucous membranes stimulates the body’s heat losing centers which respond through vasodilation, perspiration and decreased metabolism to lower the body temperature. Vasodilation, which is an increase in the diameter of the blood vessels, results in increased permeability allowing substances (oxygen supply and toxic removal) to be passed more easily. Through an accelerated and enhanced circulatory response the body naturally fights pain in a fundamental manner: by addressing the cause of the pain (inflammation, injury to nerve fiber or irritation caused by the release of toxic chemicals from microorganisms). Graphic evidence of the effectiveness of Thermotex products. 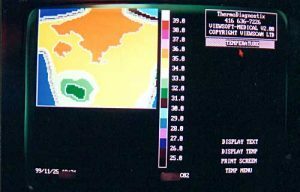 Thermography is used to measure the radiation of heat. In the following pictures you will see that the initial state of the injured area in each case is showing colder than the surrounding tissue. This is because of the lack of blood flow in that injured area. 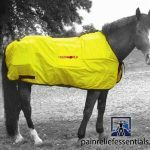 As the injury is treated and the pain relieved by increasing blood flow, the temperature of the injured area returns to normal. 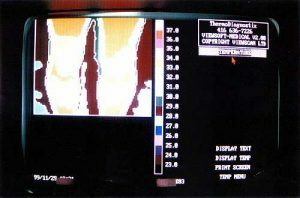 These thermographs show the improvement in a patient with a knee problem after 3 half-hour treatments using a Thermotex Platinum pad over a period of 7 days. These thermographs show the improvement in a patient with upper back pain after 3 half-hour treatments with a Thermotex Platinum pad over a 4 day period. 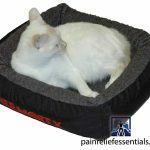 Thermotex infrared operates on the low setting at temperatures pivoting from 44C, versus heating pads that are often in excess of 55C. Our products will not burn or dehydrate the skin when used as directed. Cheryl O’Berg – “I had an opportunity to use a Thermotex device after I broke my leg. The doctor expected my cast to be on for 8 weeks and after 4 weeks I went for a check up. He did the X-rays and found that the cast could come off and that it had healed much quicker than he had anticipated. 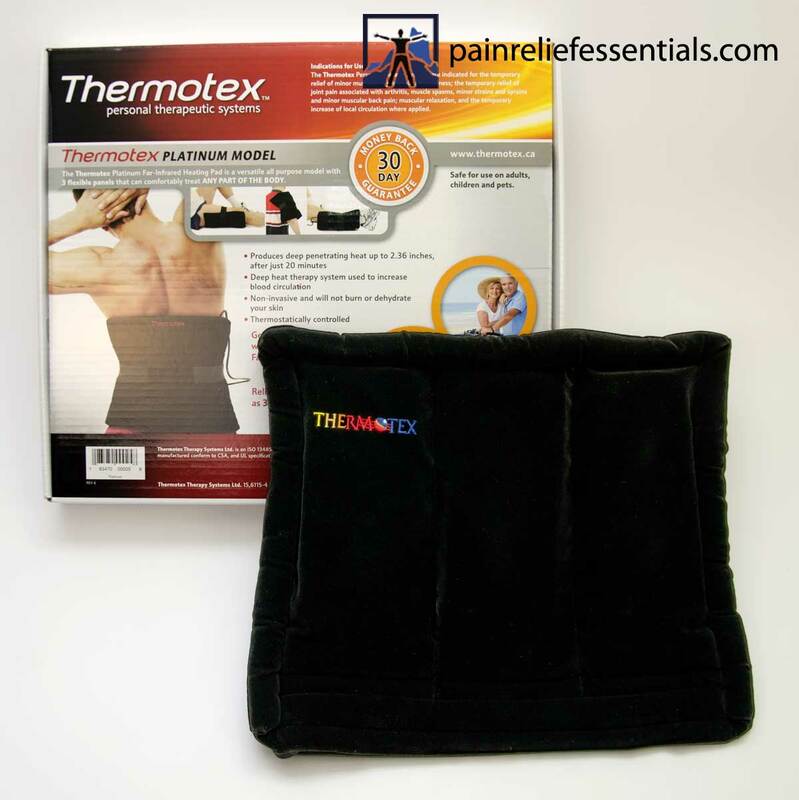 The Thermotex device virtually took the pain away after using it everyday on my leg. 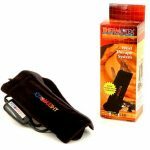 Works great!”- Results may not be typical.